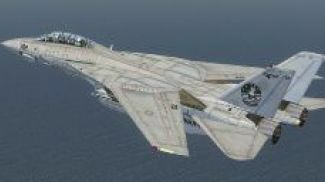 US Marine Corps textures only for Dino Catteneo's F-14 D. This represents a fictional representation of an F14D assigned to the USMC squadron VMFA-122 Crusaders. According to the Airtime Publishing book on the F14, four USMC Squadrons were originally going to transition to the F-14A. VMFA-531 was to be the first, followed by VMFA-451, then VMFA-122, then one more. 531 was actually in the middle of ground school at NAS Miramar, with pilots, RIOs, and maintenance people learning the F-14, when the USMC Commandant canceled the Marine Tomcat program to free up funds for the AV-8B and the F/A-18. Several of 531's pilots and WSOs, though did finish the transition, and served exchange tours with the Navy. Uses bureau numbers assigned to a canceled F-18 contract. By John Detrick. 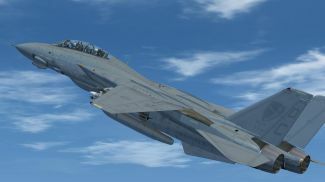 Screenshot of USMC Grumman F-14D Tomcat VMFA 122 in flight. 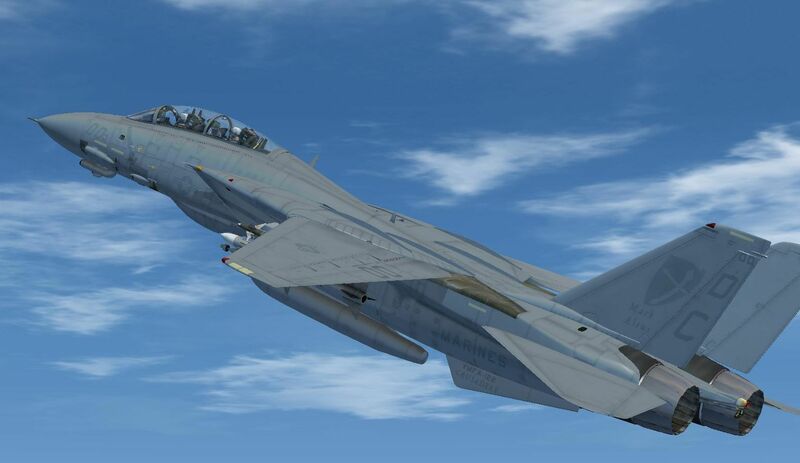 Place the folder "texture.164330" into the Grumman F-14D folder. Cut and paste the following into the aircraft cfg. ui_variation="Fictional USMC VMFA 122 Crusaders"
The archive usmcf14dvmfa122.zip has 18 files and directories contained within it.